Tartarus!!! Yes, this component of the game is here. It is not perfect yet and our hardworking Coder will continue to work on it. Talk to Homeless Ian in Mega to teleport into Tartarus maps. Please do explore the maps, the monsters, and the bosses. 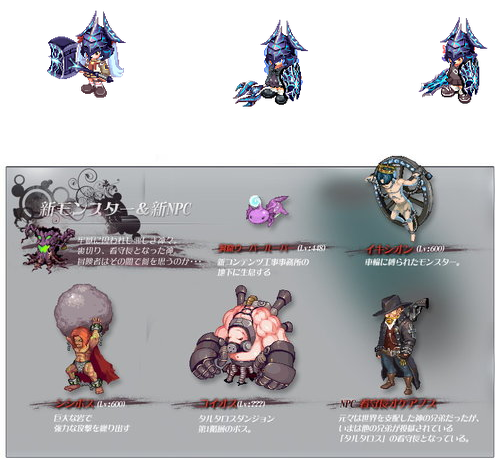 We do not have a lot of information about the quests, their sequence, and the directions to take to reach the bosses. It can be overwhelming and confusing. We hope that all of us can work together and gradually build our information in English about Tartarus. Dialogs and signs would need to be improved as well. We welcome any help in this matter. Good luck to everyone. May you get legendary unique drops from the bosses. You can play Playtrickster game on your Windows 10 computer as normal. Our coder has made the fix and it has been tested and found to be working. Congratulations to all Selfie Event 2015 winners and participants. Your rewards are distributed during this maintenance. Please check your MyShop inventory. Remember all those “useless” elixirs that you have? Well, now you can exchange them for “useful” elixirs with Poppuri at Event Garden. 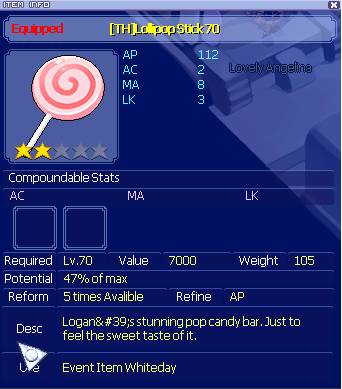 This item is now fixed so that it could be compounded with AP, AC, and LK on website. Some of the contents of the Carved Wooden Boxes sold by Item Girl in Event Garden have been changed. About 70% of the suggestions put forth by players in the CWB new content suggestion thread is included in the new CWBs. Please have a happy hunt to find the new items. GM is not able to change the landing spot for this broom’s users because the outside chamber where Guide Sabrina stands and Tombeth’s room have the same code. Therefore, GM has instead changed the maximum entry level requirement to 400. This means, those above level 150 should be able to enter Tombeth’s room if they used this broom. Those doing normal Tombeth boss trial are limited by the level 150 entry ceiling. Players, please check this out and inform us if this doesn’t work. The ranking on website has been expanded to display the top 200 top players. This item has been included under MyCamp Ticket Exchange on website. Coder has created a function under Manage Account on website where players who encounter Error 60013 can log in to website and disconnect their own chars. The Weight of these two items has been reduced to 25. The daily change for Level 320 elemental weapons inside Aria’s Weird Box cannot be done. 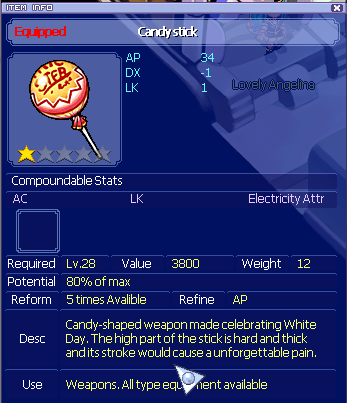 Therefore GM has added all the elemental weapons and you can try to get the one you want at any day. The maps below have been changed to the ones with the spawning spots that players like. However, we were not able to test if this worked or not. Grinders, please check this out and tell us. This NPC is put back in Megalopolis. Those who have Rudolph’s Red Nose can use it to teleport to Snow Field 1. Winnie is now in Neil’s Camp. You can deal with her for all your banking and storage needs. The numbers of the monsters below have been increased to make it easier for players to hunt them. This monster has been made non-aggressive. Her dialog has been fixed. The drop rates for the quest items below have been increased. Good luck to all of you who are doing Tapasco quests. The number of Hot Pupa Soup she requests for has been reduced to 3 per cycle. This is the Paula box. 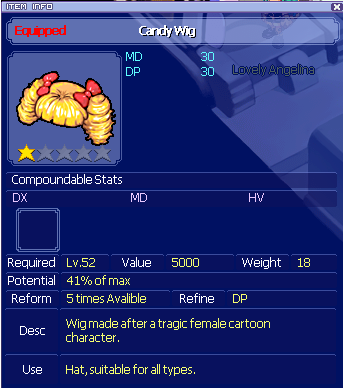 We currently do not have information about her items on Wiki. This is the box that has Gros Schuler Talisman. This item is the same regardless of which type of box you buy. These items are skins offered as separate pieces on the website. Little Diablo = Buy all items above, get the pet free. 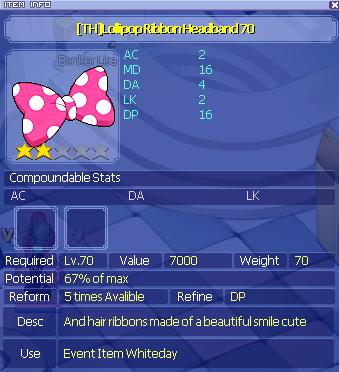 White Angel = Buy all items above, get the pet free. Buy all items and get Chibi Chronos for free. These are offered as a set. This year, August 15th was our Playtrickster server’s 2nd anniversary. We have come a long way and have gone through a number of rough patches and many sweet memories together. To celebrate our second birthday, we have set up a few events and a special Donation Bonus for you. A 30% bonus is awarded if you donated after the maintenance until September 6th, 2015 (about 2 weeks). Please remember that the bonus is built into the total amount when you donate (not a separately-given amount). Therefore, please check first before you make the donation to be sure that the bonus period is on. If you donated outside of the bonus period, you will not get the bonus. Log in to your account even once throughout this patch period, and we shall give you a free gift. 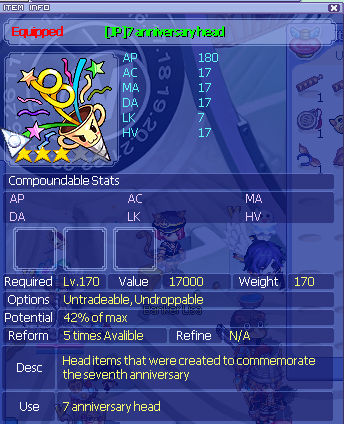 It is a head accessory and is given to your MyShop inventory. This event is valid only for accounts registered before the maintenance. Gather Sarah Special Tickets and you can exchange them for cool and useful items with GM_Wan at Event Garden. Drill anywhere for 2nd Anniversary Magic Box A, Magic Box B, and Magic Box C. You may open the boxes using Ordinary Key or Unusual Key. Ordinary Key can be gotten from drilling or buying from MyShop. Unusual key can be bought only from MyShop. Unusual Key will give a higher probability of getting Rare Items. In addition, you can also gather the Magic Boxes and leave them unopened. They can be exchanged at GM_Wan in Event Garden for nikarium, Card Hunter Black Crest, and bosses’ brooms. 1. The 2nd Anniversary Card is a skill card that worked in eTO but unfortunately does not work in Thai Trickster, which is our game file base. Therefore, we are not able to offer this card to commemorate our 2nd birthday. 2. We have planned to hold O/X event in the weekend after the maintenance, August 28/29. However, as in the past, whenever we say we want to do this, something tends to happen that make us unable to do so. Therefore, when we are able to do so, we shall make the announcement for this event in forum, Facebook group, and server’s official Facebook page. 3. Please do inform us of any bug or suspected bug relating to this maintenance. Do NOT exploit any bug. 4. For any suggestions on next maintenance, please post in this thread. 5. Keep your discussion civil and courteous. Thank you & happy playing. 9. DX Cat Boxes - You cannot obtain the Kitty Earring by completing the set. You can only get the Kitty Earrings from Mileage Boxes or by trading with other players. 5. Ultimate Amadas Set - You must purchase all three weapons (Scythe, Staff, and Gun) as well as the rest of the set to obtain the Chibi Chronos pet. 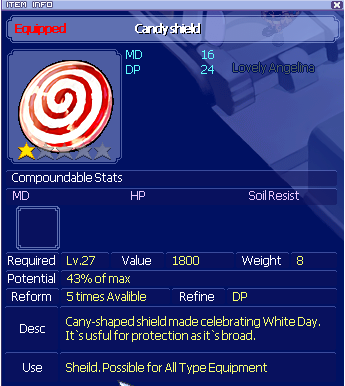 Each of these items had a 30-day time limit, except the pet, which is a statless-skin. I have a question. rTO still exist after 2years? can we do the update now? Oh my God, I think now im closer to start obtaining the goddess set!! Be well,, do good deeds, and we keep in touch. Just a message for all those people with BOMB computers and high levels, can you try streaming Tartarus kills? I'm kind of worried about what's going to be in CWB now, though.. 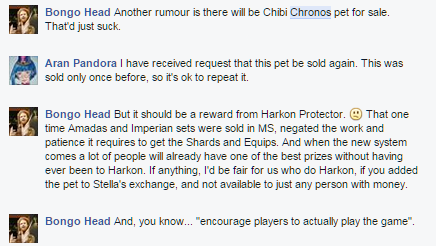 However, my only request as of right now is to not sell the Amadas set and pet in Web Shop, pretty please? This set/pet should be worked for. Releasing it on the Web Shop would be really unfair to us harkon protectors..
YAY forward member hai! . You see promise nothing will be rare in this server i think thats what they're going for anyway. Players requests AND myshop are killing some very good features of the game and making it soo damn easy to do anything now. Easy is boring okay! its boring. 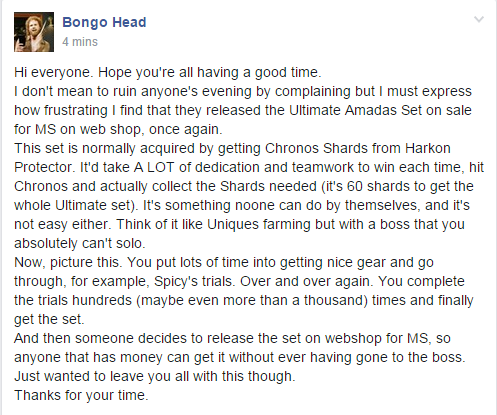 I am 100% for bongo head and promise. I have suggested this in the last patch and I got no official reply, so I'll suggest again. "I want to suggest, if it's possible, to remove the level limit of Mines Party Quests below Snow Hill. 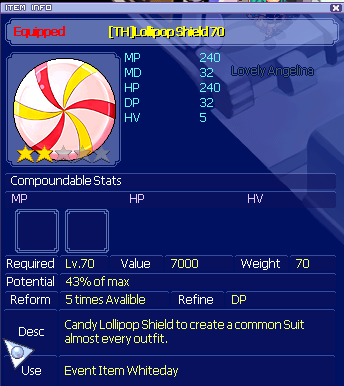 From Snow Hill, Techichi and Tapasco, you can do the quest with the level requeriment up to level 400. It doesn't happen in the earlier mines, like Desert Mine, Caballa Mine and Black Swamp Mine. Sometimes you want to make those party quests and there's no one on the level range willing to help, or maybe you're higher than the level limit, but still want to farm some Chaos Feather. If it could be done, I think it would be greatly appreciated for everyone. Specially those people who takes forever to find party members for those mines. Black Swamp Mine: Level 180 ~ 400"